More than forty Karen organizations issued a statement critical of the Karen National Union after it had decided to sign a Nationwide Ceasefire Agreement with the government that excluded the majority of ethnic armed groups. 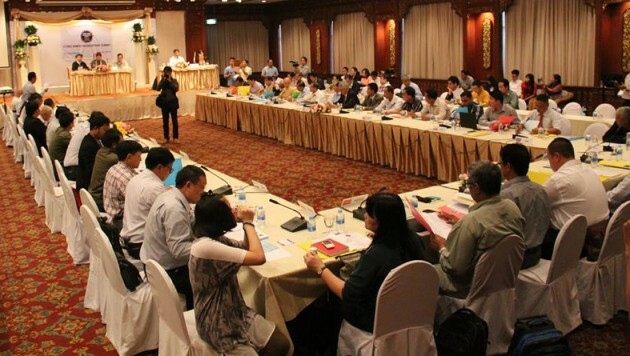 Seven ethnic armed organizations, including the Karen National Union, decided to go ahead and sign the NCA with the government without the full support of the 18 ethnic groups involved in the ceasefire talks. Following the summit of ethnic armed organizations held on the end of September, seven of the ethnic groups decided to sign the nationwide ceasefire agreement with the government – it included three Karen armed groups – Karen National Union, Democratic Karen Benevolent Army and the KNU/KNLA-Peace Council. A total of forty-one Karen organizations based inside Burma, on the Thai-Burma border and in Malaysia, Japan, Australia, United States, Canada, United Kingdom and other European countries issued a statement on October 4, 2015 that condemned the actions of the Karen armed groups. The statement pointed out that as only seven of the eighteen ethnic groups signed the ceasefire agreement, it was impossible to consider it a “Nationwide” ceasefire agreement. The Karen Civil Society Organizations (CSOs) stated that although they had hope that the peace process and ceasefire agreement would be an opportunity to move forward to political dialogue, the processes and those involved failed on a number of critical issues. The Karen organisations pointed out that there was a lack of trust, it failed by not having all EAOs sign the NCA, it failed to stop fighting and the continued militarization in Kachin and Shan States and it fail to earn the trust of the people on the whole peace process. The Karen CSOs claimed that the KNU leaders, who led the seven groups to Yangon, to sign the ceasefire agreement, lacked transparency and failed to be accountable to the Karen people and to its own organization, the KNU. 1. It is time for the leaders of the EAOs and the government to find a realistic and acceptable alternative that will bring all conflicting parties into agreement. 2. Alternatives always exist if firstly there is enough democratic space for all concerned stakeholders to be involved, secondly, there is real commitment to respecting the needs and will of the people and finally, there is a sincere will to address the root causes of the conflict to bring about lasting peace. 3. The small group of KNU leaders and the EAOs leaders who decided to go alone and sign, should seriously consider the unifying call for the inclusiveness of all ethnic armed groups.